How is the Cracking Sound produced? After maintaining the same posture for a prolonged period, an individual’s body may experience stress and tension in the muscles and joints. The most common way of stress relief is by cracking ones’ joints. Crepitus refers to the feeling and sound of cracking, popping or grinding in the joints and under the skin. In case of broken or fractured bones, there are signs of crepitus. Seven cervical bones called the vertebrae make up the neck. Further, the neck gains support from tendons, ligaments and muscles. The mobility and support of the structure allow individuals to move their neck freely. Continuous stress on the neck creates a cracking sound on twisting the neck. Neck cracking or neck crepitus may not seem dangerous, but if pain and swelling accompany cracking of the neck, it may be a symptom of an underlying health condition. 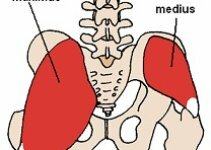 Capsules around the joints in the body envelop the synovial fluid between the joints. Cracking any joint in the body causes the capsule to stretch. As a result, the synovial fluid exerts less pressure on the joint. The decrease in pressure converts the fluid to gas and makes a popping sound. The neck consists of facet joints located on both the sides. The fluid spreads out in the joint capsule while cracking the neck. The fluid changes to gas and the joints pop giving the individual a sense of relieving stress from the neck region. According to another theory, erosion of the cartilage around the joints causes irregular surfaces like bones or broken bones to rub against each other. Presence of air in the subcutaneous tissues and nitrogen bubbles in the synovial fluid can also create the same sound. Cavitation – Synovial fluid is present around all the joints in the body and contains carbon dioxide and nitrogen gas. These gases can form bubbles. Movement in the neck can cause the bubbles to burst and make a popping sound. This is known as cavitation and it is a primary cause of neck cracking. Movement around Bones – Tendons and ligaments move around the muscles and bones in the neck region. They may create a snapping sound while moving and result in cracking of the neck. Problems in the Joints – Diseases like arthritis and osteoporosis have a degenerative effect on the bones and lead to roughening of the joints. Such conditions also hold true in case of neck cracking. 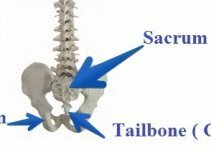 There is a degenerative effect on the spongy discs between the cervical vertebrae that act as a natural cushion between the bones. The ligaments and the cervical vertebrae become thicker and take up the space between the bones, making the space narrower. It includes pain, a stiffness of the neck and cracking in old people. The condition is known as cervical spondylosis. Bone on bone Grinding – Osteoarthritis is a condition in which the erosion of the cartilage causes the bones to grind against each other whenever the joint moves. It usually develops in people due to aging or injuries. It causes cracking of the neck. Injury – People may face trauma or injury that affects the structure of the neck, this could also be another cause of neck cracking. Gymnasts or people who have met with accidents are more prone to facing such conditions if the structure of the neck was damaged. 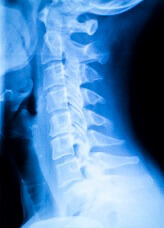 Surgery – A surgery performed on the cervical spine may cause neck cracking to occur a few weeks after the surgery. It is important to inform one’s surgeon and seek medical help to assess the symptoms even though the condition may not seem severe. Osteoarthritis – Ligaments may stretch too much due to stress on the neck or frequent cracking leading to instability. The body tries to stabilize the situation by forming bridges between the vertebrae. This is not normal for the body and it can cause permanent joint stabilization known as osteoarthritis. Neck Pain – Continuous grinding of the boners in the joints can wear away the cartilage. It decreases mobility and has other degenerative effects. The condition is characterized by pain, swelling, etc. as pressure on the nerves increases. Stroke – Habitual neck cracking may puncture cervical arteries or some of the blood vessels in the neck. The bleeding can result in the formation of blood clots that can block the supply of blood and oxygen to the brain or the blood clots may travel to the brain. They may even cause a stroke, especially in people above the age of 60 years. These strokes may be minor yet fatal. Moving the Joints – The neck’s inability to move freely may create grinding noises and tightness of muscles can cause neck pain. Stretching the neck gently can release tension. Improved blood flow through exercise helps to reduce pain. Sternocleidomastoid (SCM) Exercise – Sternocleidomastoid exercise refers to turning of the head as far as possible to reduce pain in the SCM muscles on both sides of the neck. Although the individual may experience grinding sounds and some discomfort, it should not be pushed to an extent that causes pain. Use of hands is advisable to provide stability to the head and then the same action should be repeated in both directions. Exercise – The neck’s inability to move freely causes individuals to experience stiffness in the neck region. Lowering the head towards the front till the chin touches the chest is an effective and simple exercise. The person must remain in this posture to the extent that the back of the neck can stretch and then follow it by lifting back the head up slowly. Warm Compress and Massage – The neck region can be massaged regularly using warm oil or by simply applying warm compress. Both these practices help to release the stress that has built up in the joints and muscles. Neck cracking may seem very mundane and satisfying to most people. However, individuals must seek medical help if pain, swelling or stiffness is experienced in the neck region. Early diagnosis and treatment of any underlying health condition can reduce chances of further health complications.